As a Cape Town local, getting away from it all is as simple as piling into the car and taking a slow drive along the Garden Route. Within the first hour of travel you’ve already left the rat race far behind you. This is a trip that my husband and I adore, and have done many times over the years, so I was keen to share it with my two-year-old son, Harrison. Keen and somewhat terrified… what if there was nothing to keep him amused? Would we be stuck in a car with a bored toddler for a week? Luckily, I needn’t have worried! Leaving early on Sunday morning, we headed to Fairview Wine Estate in the Winelands – a necessary pitstop for wine and cheese supplies. The farm style breakfasts looked too good to pass up, so we decided to stay a bit longer and let Harry explore the venue. Petting goats, feeding goats, goats up a tower and goats on a bridge – Fairview has certainly cornered the caprine market! Our first overnight was at Gondwana Game Reserve, located just outside of Mossel Bay. This is a lovely drive through character filled dorpies (small towns), stunning mountainous landscapes, and let’s not forget the major highlight for Harry: The Huguenot Tunnel - A 3900m long tunnel through the Du Toitskloof mountains. Gondwana, the reserve, amazed me! Within minutes of driving through their gates we were spotting game and birdlife. To see these animals, usually reserved for National Parks in the Kruger and KwaZulu Natal, at home in the Western Cape and surrounded by our unique Cape flora was very special. Our lodge was beautiful and wonderfully child friendly, they had even provided Lego blocks and a DVD player (although there was far too much to do on the reserve to make use of either). The Junior Rangers program is fabulous, they offer hour long, outdoor, educational experiences with a qualified Ranger. The activity changes each day, and can include how to identify and track the different mammals and bird species, learning about Fynbos, and a visit to a bone yard to touch and learn about the various skeletons. The admirable emphasis on education and eco responsibility was evident throughout the property. Children under six years old are not allowed on the standard game drive vehicles, however an exclusive use vehicle may be rented. We were offered a babysitting service, which was amazing! Richard and I could enjoy an evening game drive complete with sundowners and adult conversation while Zumi and Harry played at our lodge. I only wish we could have stayed for a third night! Travelling towards the coast, we checked into the Diaz Hotel & Resort. 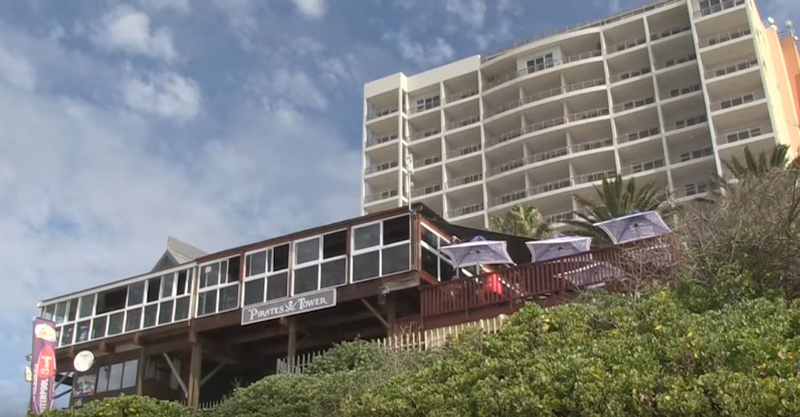 The hotel is located on the picturesque Diaz beachfront in Mossel Bay and each of the 86 rooms offers a private (and child safe) balcony with uninterrupted sea views. Each morning we enjoyed a cup of coffee on our balcony and watched the sun rise across the bay as seals played in the waves – not a bad start to the day! Since it’s currently winter, the Diaz Water Park – located next door to the hotel – was not operating its numerous outdoor super tubes, however, we were able to take a dip in the indoor heated pool. A leisurely stroll on the clean, soft sand was the perfect way to work up an appetite, and there are several child friendly beachside restaurants within walking distance. Diaz was an ideal base from which to explore the surrounding areas, an easy 30-minute drive to George meant that we could enjoy a day trip to Redberry Farm. I highly recommend getting there early as there is so much to do, eat and see, that we couldn’t get through it all before they closed at 4pm. 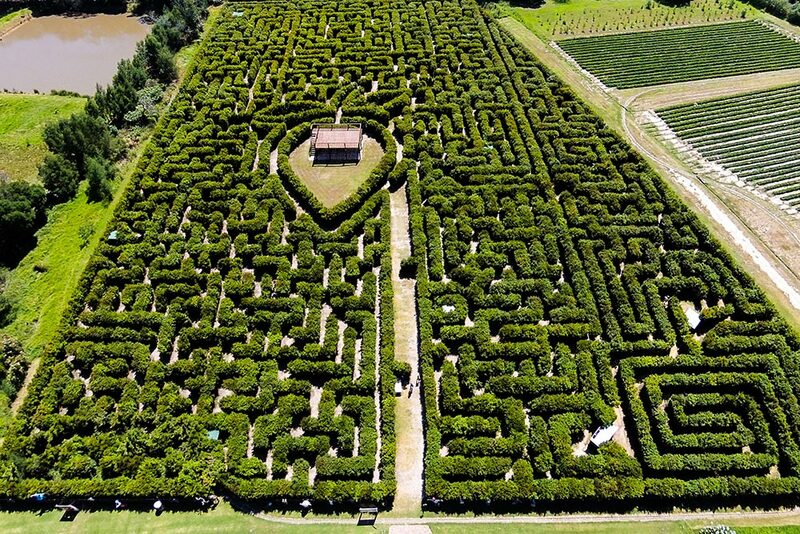 They offer pony rides, mini train trips, bumper boats, playgrounds, bunny feeding, hedge maze (the largest permanent one in the Southern Hemisphere) and, of course, strawberry picking! Sitting on the perfectly manicured lawn drinking local wine while an exhausted toddler ate/messed handcrafted gelato was just heaven! 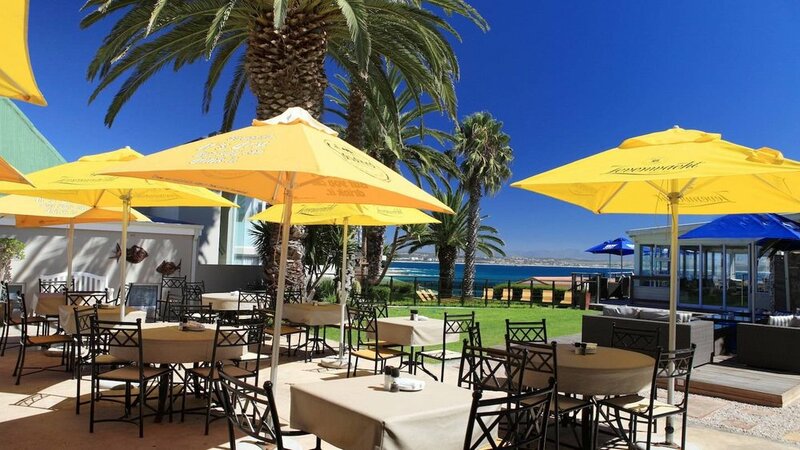 Ten years ago, on our first road trip together, Richard and I stayed at the Protea Hotel Mossel Bay, so it was only fitting to include it in this year’s itinerary. The hotel has changed so much – and is scheduled for more refurbishments by the end of October – but some things will/should never change: The staff are amazing! No matter who you spoke to, they were so happy, friendly and helpful! The rooms, restaurants and common areas are elegantly furnished, and the location is ideal. Situated right next door to the Bartolomeu Dias Museum Complex, guests are issued with a day pass to access the museums and private beach. Watching my son play the pirate aboard a life-size replica of the Dias Caravel in the Maritime Museum was priceless! On the road again, this time heading out of town towards Indalu (‘nature’ in Xhosa). 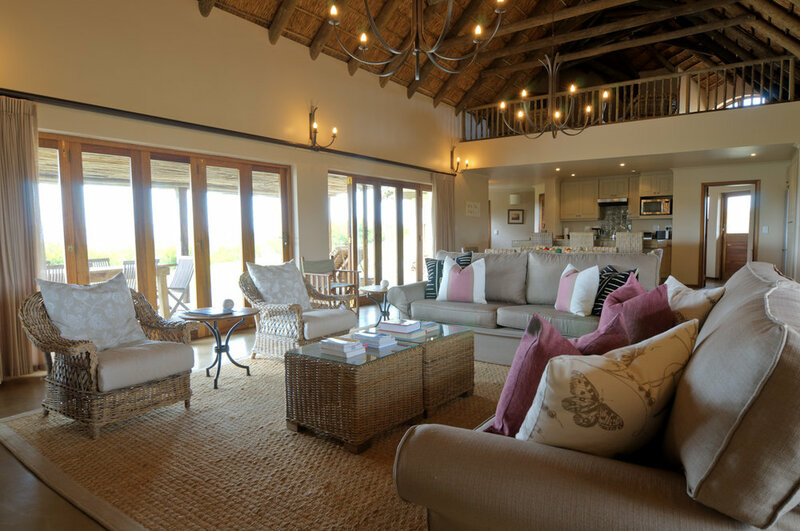 Indalu Game Reserve is a lesser known gem in the Garden Route, the family owned and operated reserve offers two self-catering cottages, sleeping a maximum of eight guests in total. Gerhard and his family are so welcoming and eager to share their knowledge of, and passion for, this corner of heaven and the wildlife that share it. We were lucky enough watch Buffalo feeding just meters away from our chalet, before embarking on a walking tour with highly trained guides. The closeness to nature, particularly the elephants was very moving. Harry still stomps around the house making trumpeting sounds and waving his arm in front of his nose like a trunk, so I think it’s safe to say we’re onto a winner here! Please Note: There are many different routes to take and stops to make on a Garden Route holiday, this is in no way a comprehensive itinerary. Speak to one of our consultants to tailor make your perfect Garden Route getaway!